So we have a trailer for age of ultron and it looks pretty good. 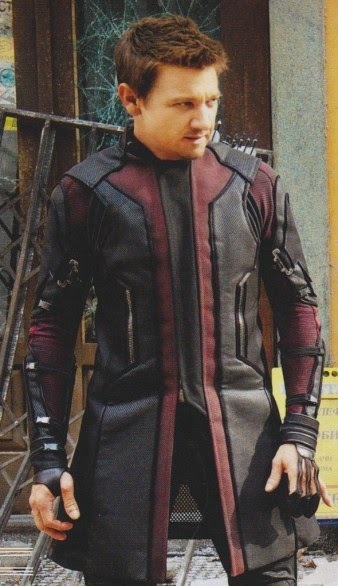 Hawkeye even has a big flappy bit on his costume like cockeye does here, hanging down by his legs. My brother Chris and I came up with the idea of cockeye on the train one day much to our amusement. 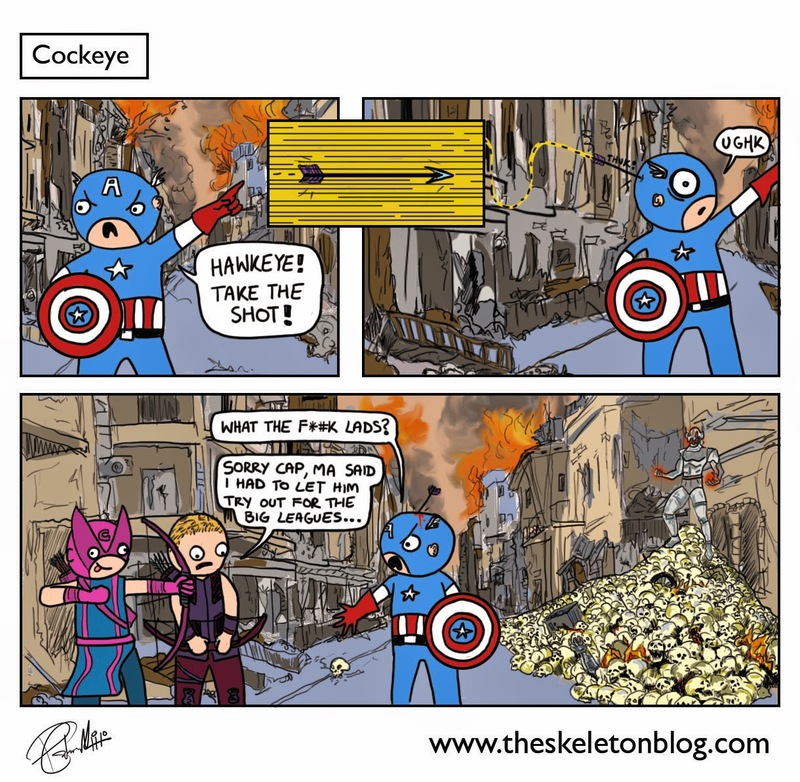 It's taken a while for him to be transformed into a comic but at least we've found a use for hawkeye's old costume. Lets face it, he was never gonna wear that in the movies.